Welcome to Day 2 of the 7 Days of Halloween Blog Event brought to you by "The Inspiration Crew". We’re just a group of online crafty friends who love being creative. This time we're doing a 7 day event to provide you with tons of Halloween Inspiration. 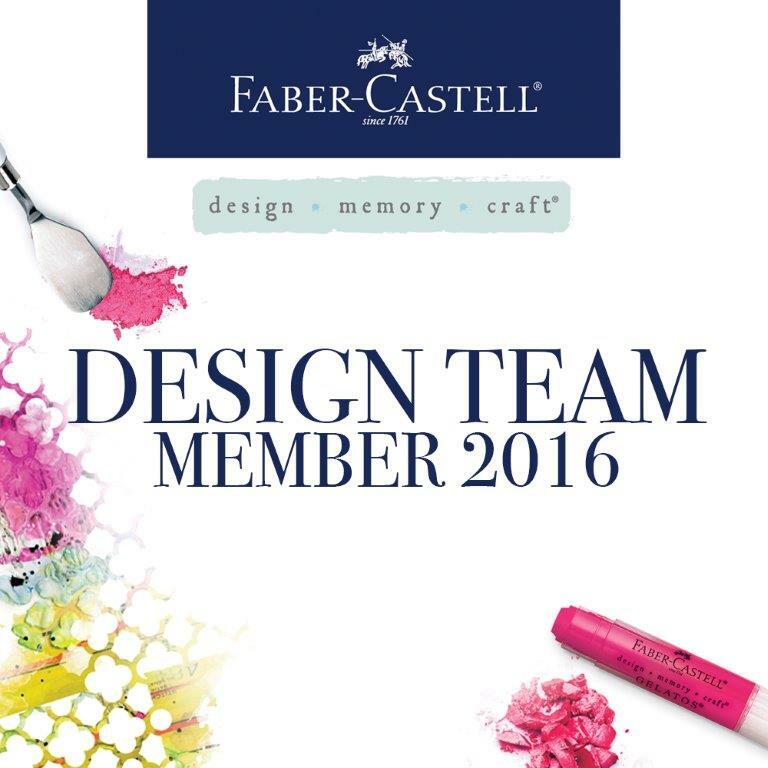 At the bottom of this post is a list of all the crafty ladies participating in this event. Visit all the blogs each day for loads of fun Halloween craft ideas. Today I am sharing a lot of SPINNER CARDS! 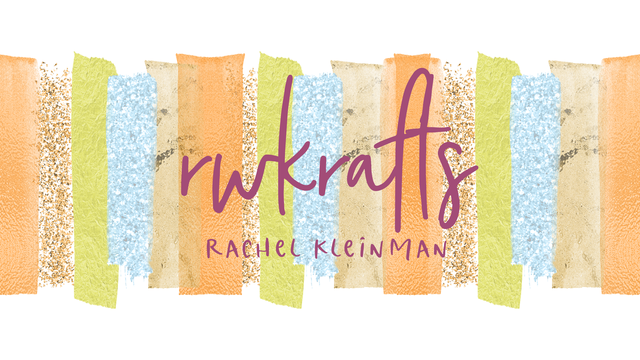 I'm really excited to share these... it's a lot of fun packed into one easy-to-make card. This is my favorite of the bunch. The cat gives something different and unexpected. Just some foam dots and a penny sandwich make the spinner possible! Action shots! Tilt the card side to side and the black cat spins out of control. Step 2: Trim patterned cardstock panel. 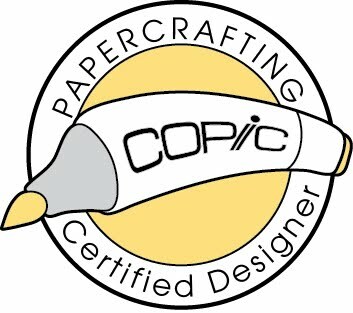 Use a craft knife to cut a slit in pattern paper, less than 1/4" wide (enough so your penny can fit and slide around). Step 3: Decorate your panel however you wish - I embossed the 'trick or treat' sentiment and added star rhinestones. Step 4: Attach two pennies together with a foam dot (makes your penny sandwich). Adhere your image to penny with a foam dot (here I used the cat die cut). Step 5: Slip your penny sandwich into the slit, so one side of the penny sandwich is on either side of the pattern paper. Step 6: Use thick foam dots to adhere finished panel to card base. Enjoy! Each of the cards uses the same steps as above, just different pattern papers and die cuts (pumpkins and owls). 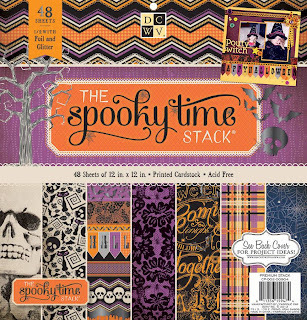 All papers are DCWV "Spooky Time" stack and stamps from Inkadinkado "Trick or Treat". Spinner cards are an easy way to make an interactive card for your friends to enjoy. Now hop on over to these talented ladies to see what they have in store today! oh my word how CUTE.. i love these.. Such a fabulous series of spinnery-wobbily cards! Interactive fun for sure - and absolutely darling, to boot! Awesome creations = awesome inspiration!! Those are so fun. I love the action wobbles on these. Fun to receive too. Okay...so if there is an award for cleverness in this group...you just won it!!! These cards are just way too cool. Can you image how much fun the little ones (and yes, some 'bigger' kids too) will have with this card! Another novel idea to add to my growing list of must-make H'ween projects! wow you have been busy! Fabulous spinner cards, so cute! Love those cards and thanks for sharing the instructions too! EEEK! They are so cool. Must try to make these soon! This could not get any cuter!! I love those spinners. It would be so fun to open up an envelope and see these cards. They're great! Those are AWESOME!! You made so many!! I LOVE that spinning glittery kitty!!! OMG! Rachel these are great!!! Love, love, love them!! Wow...fabulous cards and love that they have movement. I love interactive cards and these are fab - I bet that cat looks CRAZY as it travels across the card, with all that sparkle! Absolutely love your slider cards - the cat is my favorite.